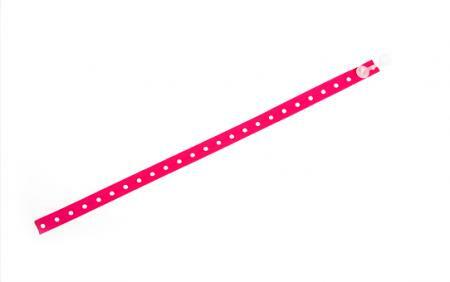 THE SLIMMEST WRISTBAND ON THE MARKET SINCE 2006! The only wristband designed by & produced for campsite managers. High quality 100% polyester fabric wristbands. 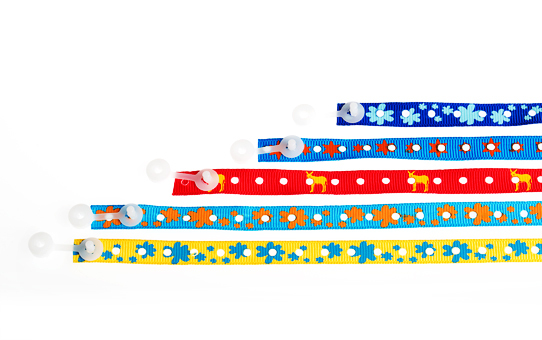 Hard-wearing woven wristbands with reinforced edges and heat-sealed at the ends to prevent the strap from fraying along the sides or at the ends. Millions of colour combinations available. The woven colour appears on both sides of the ID wristband. Unbreakable and non-reusable wristband fastening. The wristband can be customised with your text or logo in 1, 2 or 3 colours or in full-colour. Perforations all along the strap allow the wristband to be worn by anyone, whatever their wrist size. 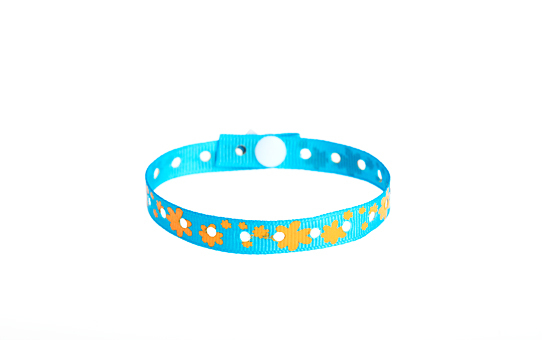 This wristband is ideal for customers who need to wear it for more than one day. Your customer's comfort is guaranteed as they won't even feel the ID wristband! This ID wristband is both discreet for your customers and easy for you to monitor! It's the perfect wristband for campsites, hotels, aparthotels, spa hotels, All Inclusive hotels etc. Wristband length: 25 cm for adults and 20 cm for children. 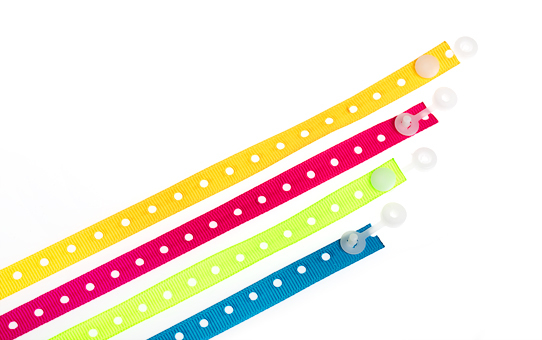 Fastening: Integrated into the wristband - just press the clip to close! Supplied in: 1000 units per box. Colour: Please see our colour chart.